With Super Bowl 50 less than a week away, many of us, including me, are planning our gatherings with family and friends to watch the big game! The key to any game day snack option for a big crowd is that it has to be quick to prepare, east to eat and of course delicious. 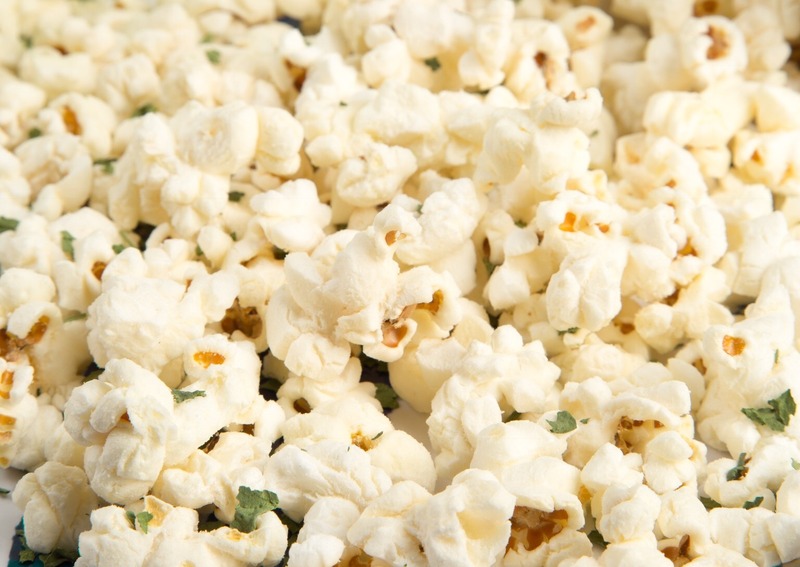 You and your guests will love this Parmesan cilantro popcorn mix I created. You can easily make it it large quantities and it takes just a few minutes to prepare. First, start with several bags of BOOMCHICKAPOP Sea Salt Popcorn. My general rule is 1 bag for every 3 -4 guests. Pour the popcorn into a large bowl so that you can mix in the ingredients. Next, sprinkle dry, grated Parmesan cheese, all over the popcorn followed by dried cilantro that can be found in the spices section of your local super market. For each bag, I used 1/2 cup of Parmesan and 1/8 cup of cilantro however, the amount used is completely up to your taste preference. Using your hand toss the together the Parmesan cheese, cilantro and BOOMCHICKAPOP Sea Salt Popcorn. I love the flavor combination of the sea salt on the popcorn with the cheese and cilantro! You can serve it in individual cups as I will, or in a large bowl. Now its your turn to show how you #BringTheBoom! BOOMCHICKAPOP is giving away fabulous prizes to those who share how they BringTheBoom on Game Day! Share your photos on Instagram and twitter using the hashtag #BringTheBoom and enter for your chance to win 1 of 5 Game Day kits that include a pink BOOMCHICKAPOP grill, grilling utensils, and a pink travel chair! Get all the details here! Contest ends February 10, 2016. I can’t wait to see your posts!